First and foremost, this is a blog about food. But, being a mom is inseparable from the rest of me. It’s at the core of my being. It’s part of almost everything I do, including cooking. 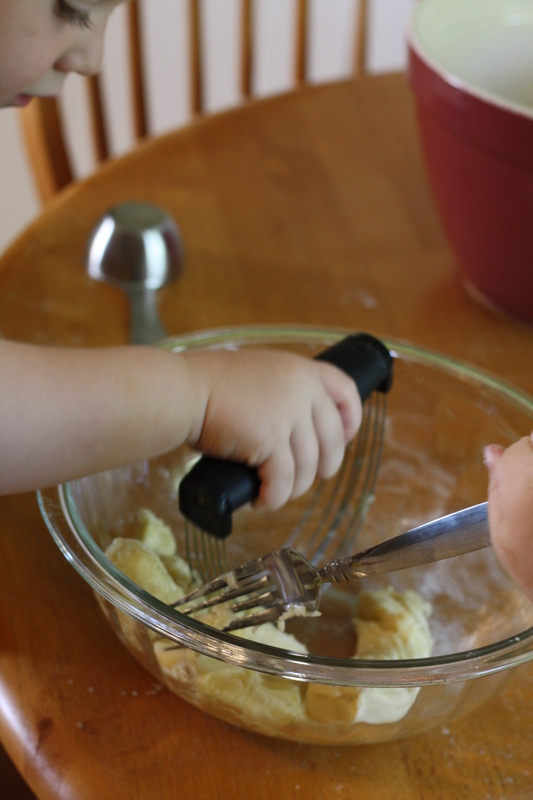 And it just so happens that I believe that cooking with kids is one of the most fantastic ways to develop early-learning skills. 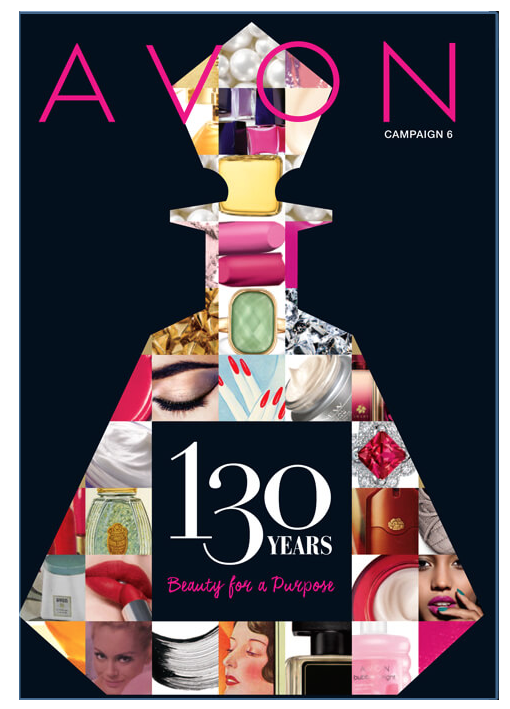 Prior to my life as a stay-at-home mom, I was a teacher. Though I am no longer a teacher by trade, I will always be an educator. 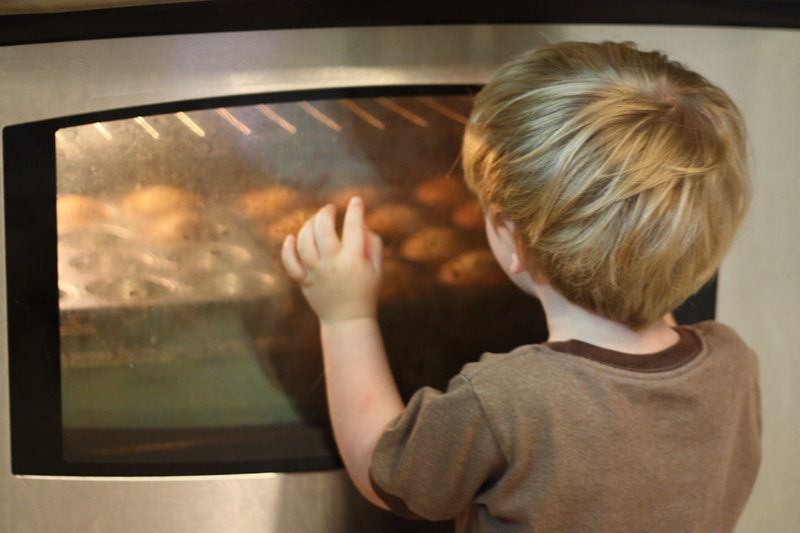 As an educator, a mom, and a culinary fanatic, I feel passionately about the many ways that cooking with kids can be learning-rich experiences. Be prepared for a little extra mess. 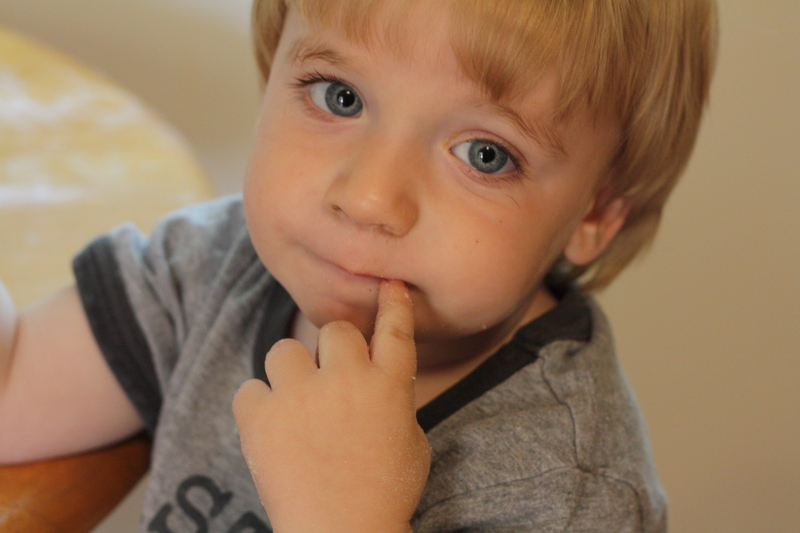 Select tasks which are age-appropriate for your child. 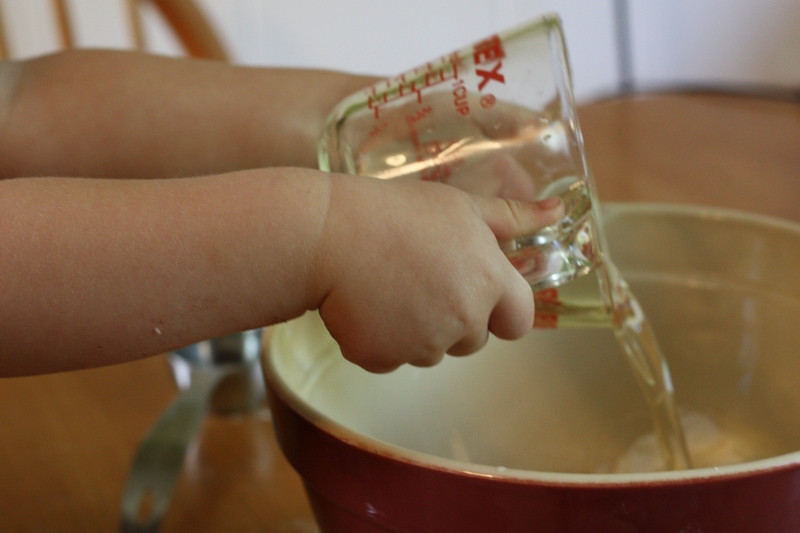 (Kids are expert mixers, pourers, and banana-mashers!) Give them tasks to keep them occupied between steps. Prepare, prepare, prepare! In the culinary field, one often hears the French phrase, “mise en place”. Essentially, this translates to “everything in its place”. It simply involves the practice of gathering, measuring, and preparing all ingredients prior to beginning the cooking process. 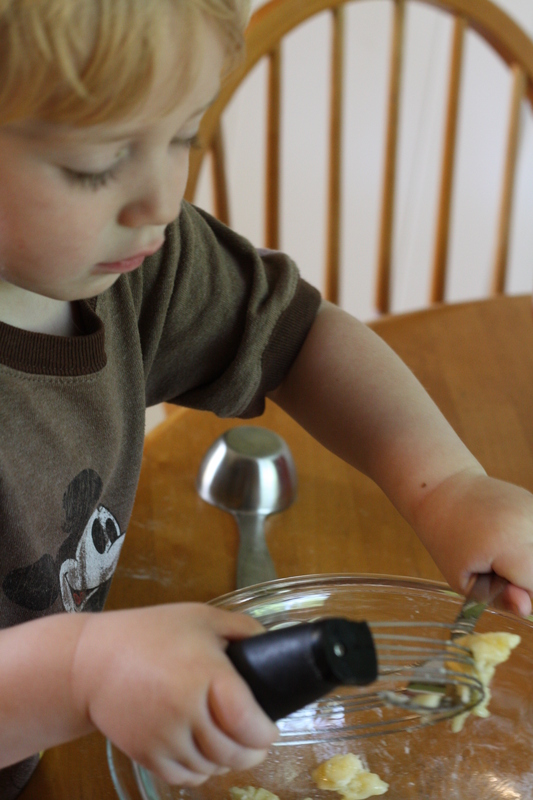 This practice is useful for all cooking, but is especially helpful when you’re working with young kids, with short attention spans. 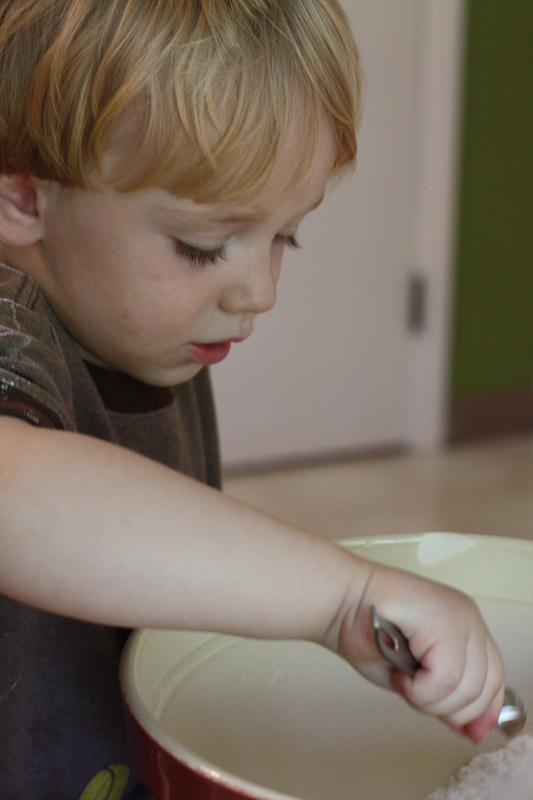 Children learn best when they are engaged in meaningful, hands-on activities. 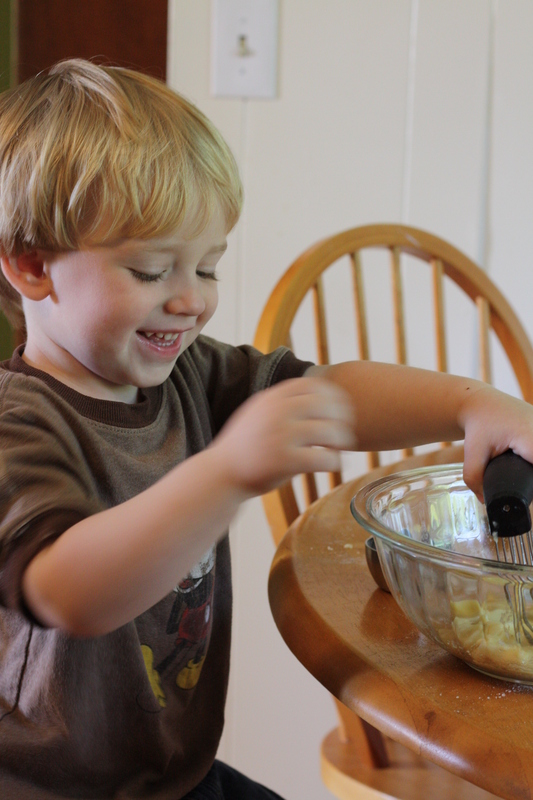 So, next time you’re in the kitchen, grab your kid (or borrow someone else’s) and get cooking! And now the recipe. Children welcome, but not required to make! Preheat oven to 350 degrees. Combine all ingredients in a bowl. 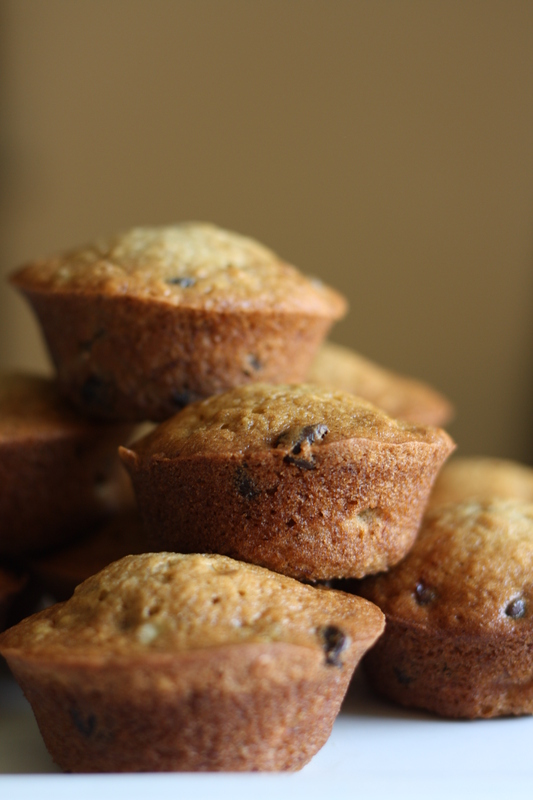 To prepare your muffin pan, use muffin liners, grease and flour, or spray with Baker’s Joy (or a similar product). Pour the batter into prepared muffins tins. Bake for about 25-30 minutes, until golden brown and a toothpick inserted comes out clean. Makes about 12-15 muffins. 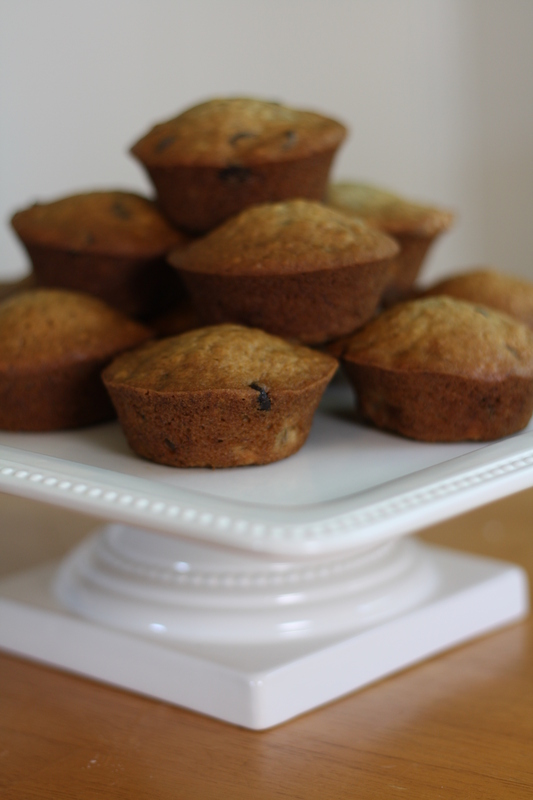 **This recipe was adapted from a recipe for Banana Bread, found here. Posted in Baking, Breakfast, Chocolate, Cooking with Kids, Desserts, Food, Fruit, General Rambling and Such, Recipes and tagged baking, banana, Cooking, cooking with kids, Eating, education, Food, food photography, kids, muffins, parenting, Recipes. Bookmark the permalink. 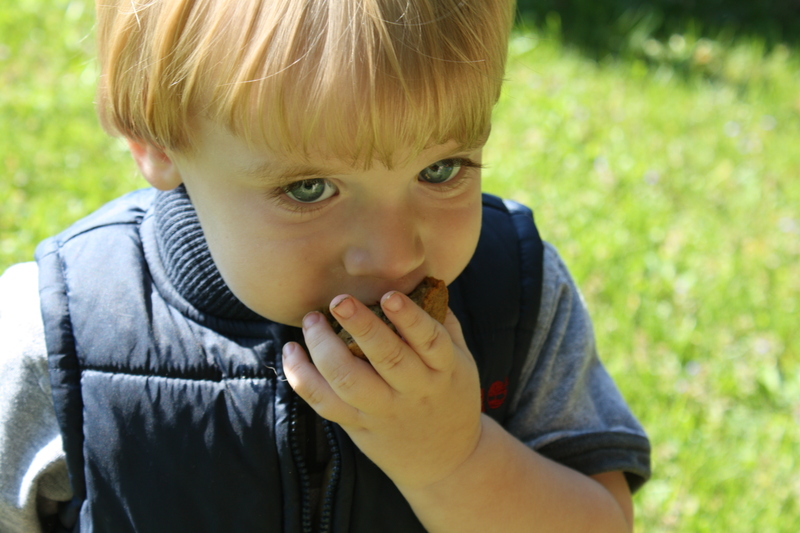 I love cooking with my 20 months old son, we have a lot of fun trying new recipes together. I totally agree with you, working with my baby helps him develope skills in a number of ways. Those muffins look so good. Thanks for sharing.